It’s great to have a good clear out sometimes! Our allotment garden gets tidied up in the autumn, our house gets an occasional deep-clean and our bodies definitely deserve a clear out too. This menu plan is for a 5-day cleanse using recipes for smoothies, juices and soups that we’ve tried and tested over the years. We’ve chosen ones that are loaded with fruit and veg and packed with nutrition to get you feeling shipshape. All of the recipes are vegan, most are raw, and all are free of gluten and refined sugars, perfect for recharging the batteries and getting you back on track. 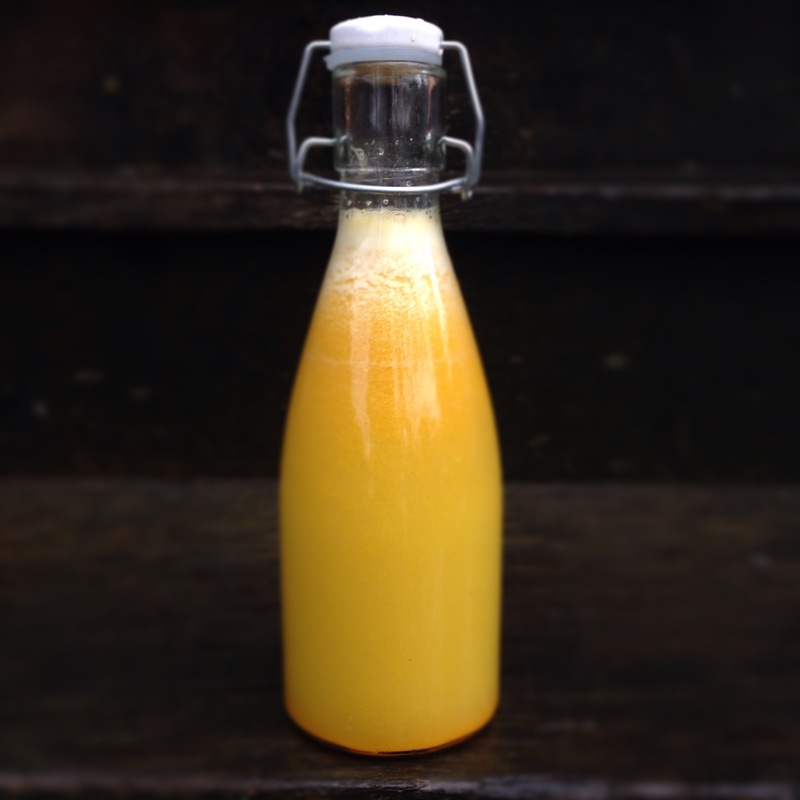 You will need a good juicer and blender and, if you plan to take the drinks to work, 6 flasks or bottles. Drinks can be stored in the fridge overnight and soups can be reheated the following day, or just make them all as you go along. There’s no specific order or time of day, but try to space them out, so that you’re never left feeling insanely hungry. The quantities seem to suit men and women equally, although by Day 3, I personally don’t feel hungry for all the drinks, so I tend to cut one out. That’s fine. I know others that drink all the juices, smoothies and soups, plus the extra protein smoothie, which is a great afternoon pick-me-up. Listen to your body and do whatever works for you. 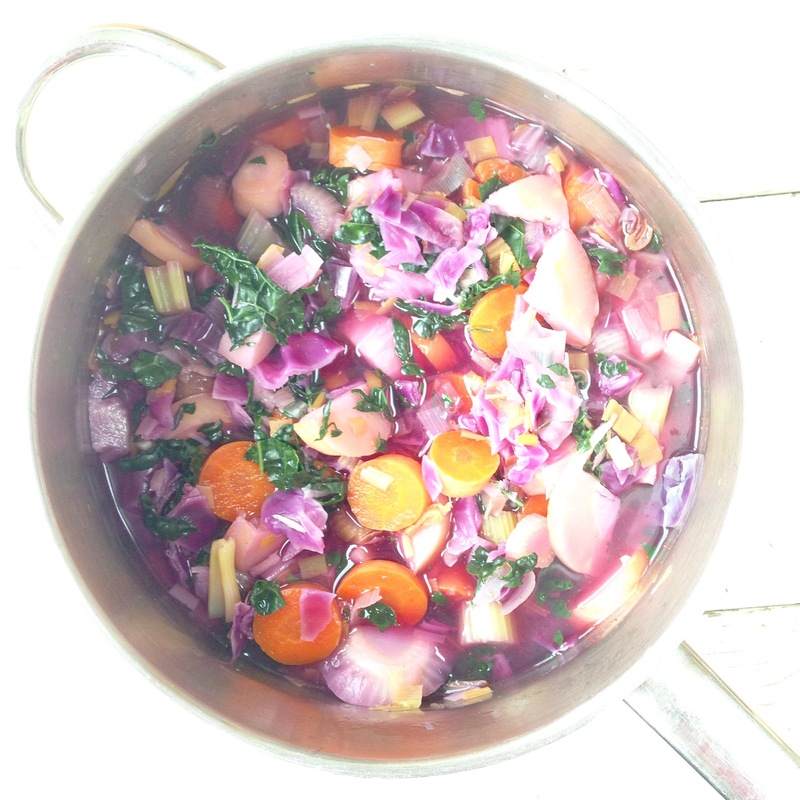 Vegetable Broth: (hob) 1 ltr water, 3 carrots, unpeeled and sliced; 3 celery sticks, sliced; 1 lg leek, sliced; 1 fennel bulb, sliced; ½ cabbage, shredded; 2 lg garlic cloves, crushed; 1 knob root ginger, peeled & grated; 1 handful kale, chopped; juice of 1 lemon, 1/8 tsp cayenne pepper; 1/2 tsp dried oregano; 1/2 tsp dried thyme; salt and pepper to taste. Put the water in a big pan and add all the chopped veg. Simmer on a low heat for at least 1 hour. Take off the heat and allow to ‘stew’ for at least 30 mins. Strain out all the veg and freeze to use in soups at a later date. You are drinking the super healthy broth. Enjoy! Optional Extra: Protein smoothie. 200ml nut milk; 1/2 banana; 2 small handfuls frozen berries (or fresh berries and 1 handful ice); 1 tbsp mixed seeds (eg: sunflower, pumpkin, hemp); a pinch of cinnamon. Optional Extra: Protein smoothie. See DAY ONE. 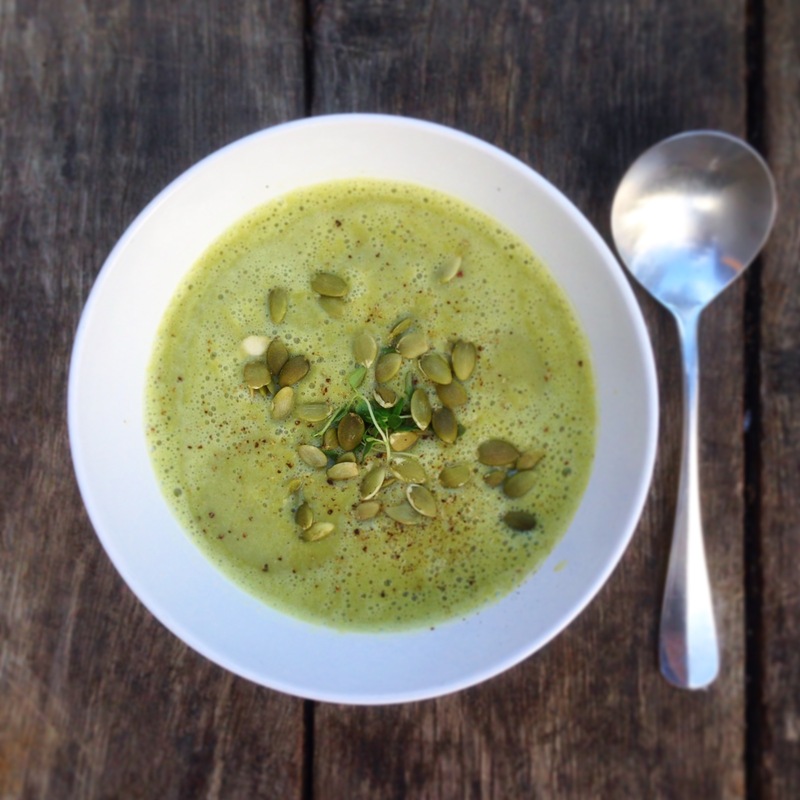 Broccoli soup: (hob or blend and then heat gently if you prefer it raw) 1/2 head of broccoli, 1/2 onion, 3 ginger slices, ½ small fennel bulb, 1 handful watercress, 1/2 tsp coriander seeds, crushed; 250ml water, salt and pepper. Simmer water in pan with coriander seeds for 5 mins with lid on. Add everything except watercress. Simmer for 10-12 mins. Cool slightly. Add watercress. Blend and enjoy! Broccoli soup: (hob or blend and then heat gently if you prefer it raw) 1/2 head of broccoli, chopped in to small florets; 1/2 onion, sliced; 3 ginger slices; ½ small fennel bulb, sliced; 1 handful watercress, 1/2 tsp coriander seeds, crushed; 250ml water, salt and pepper. Simmer water in pan with coriander seeds for 5 mins with lid on. Add everything except watercress. Simmer for 10-12 mins. Cool slightly. Add watercress. Blend and enjoy! 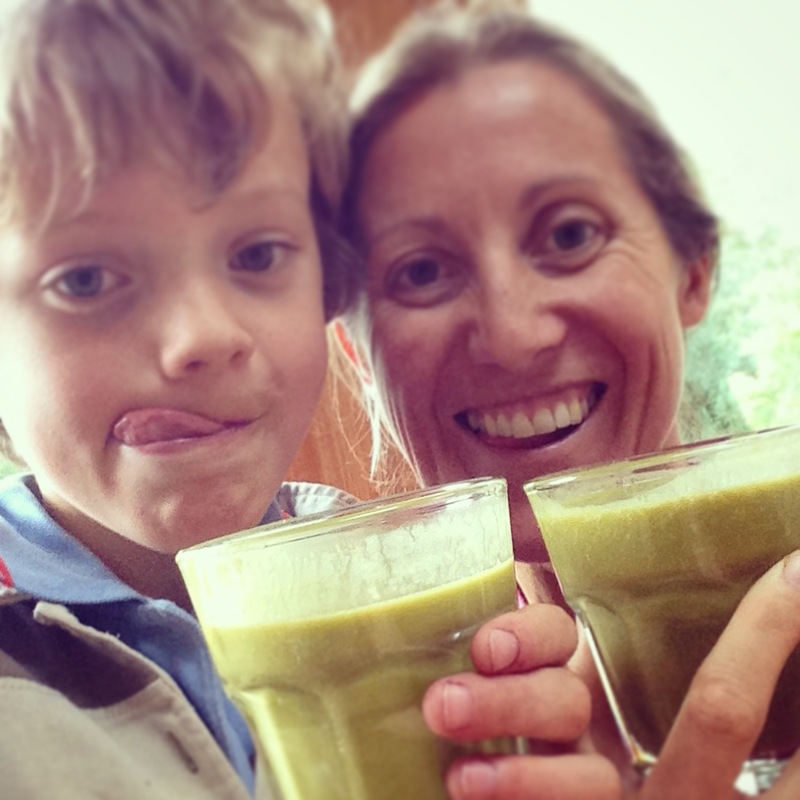 My husband and I did your cleanse several month ago – a life changing week it was too! We discovered that I’m allergic to lemons – ho hum, had to find out sometime – but you’re detox was just as good for me without the lemons. As my husband works in the coffee industry its fair to say that we consumed a LOT of coffee….but since the detox not only have I not had a cup of coffee, I haven’t even had tea! We now religiously take 2 juices or smoothies to work each day, the Juicy Juice & one other – I love the Very Berry smoothie, he loves the Smooth Skin smoothie and the cheeky afternoon smoothie is handy when we have long days at work. 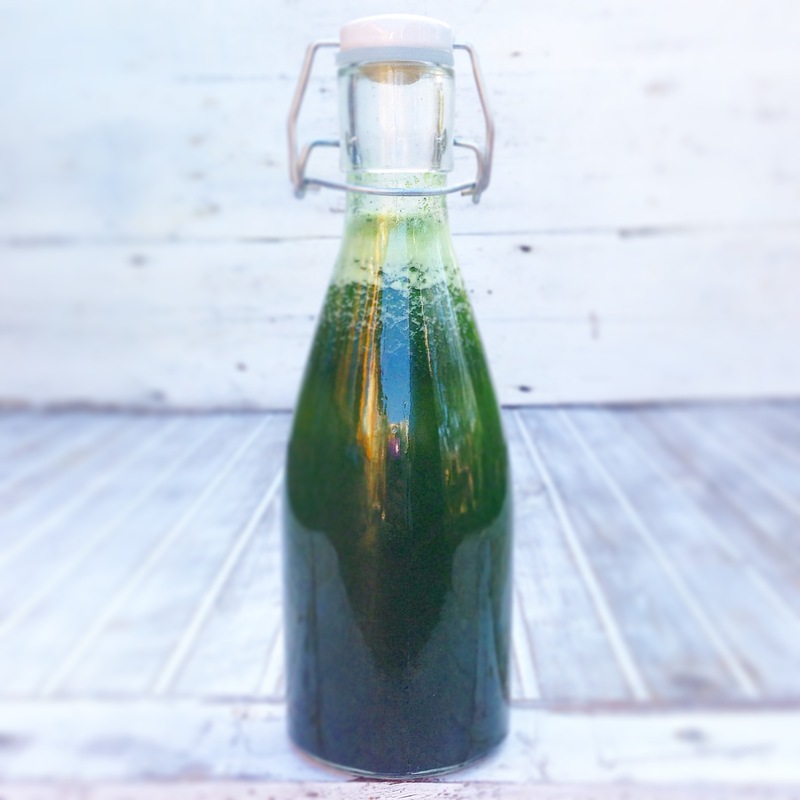 I drink Pukka ‘Cleanse’ tea (fennel, nettle and peppermint – yum) and he now drinks hot water with lemon and ginger. 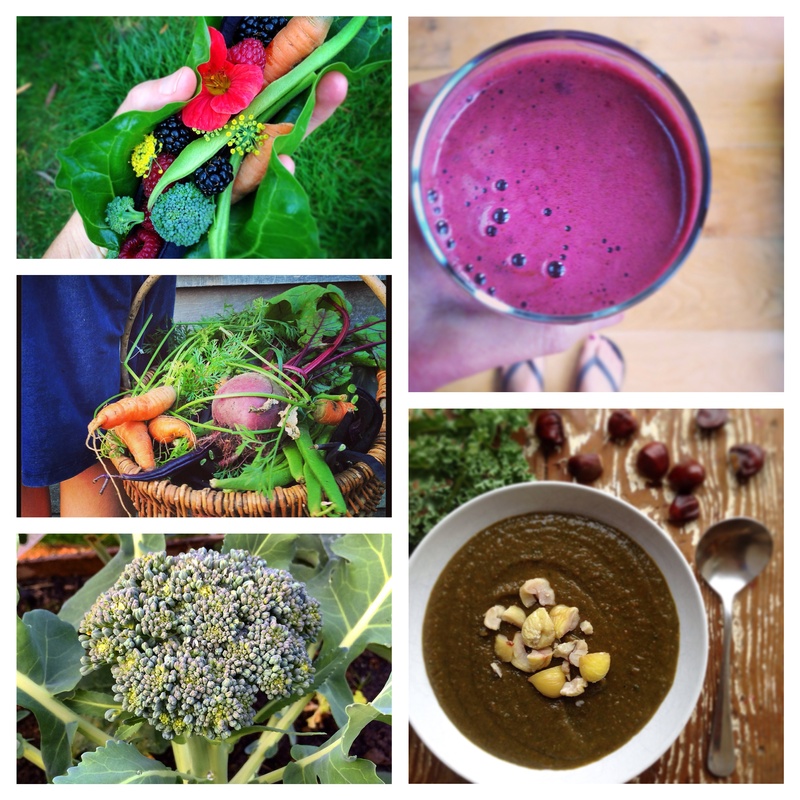 Quite literally a life changing detox program!! Very excited to be reading through the cleanse recipes.. I loaded up the trolly at the supermarket and felt vaguely conspicuous with my 3 bags if kale precariously balanced on top of my 31 lemons! The shop took me a long time as I had to seek things out but what I did observe was my physiological state of mind.. vegetable obsession to the point of almost revulsion at other food types (temporary). I became overwhelmed at one point at the shear amount of food that was going to go into my body … Then I thought of my teenage daughters and how they were looking forward to feeling great from a cleanse; so I persisted and vowed another time to shop on line. I loved the shopping list, Kate- really useful. Have you considered itemising the smoothie/ juices as titles and list the things to buy underneath? Now all the produce is under an oil cloth outside the back door waiting for me. Thanks for the inspiration I’ll let you know how we all get on.